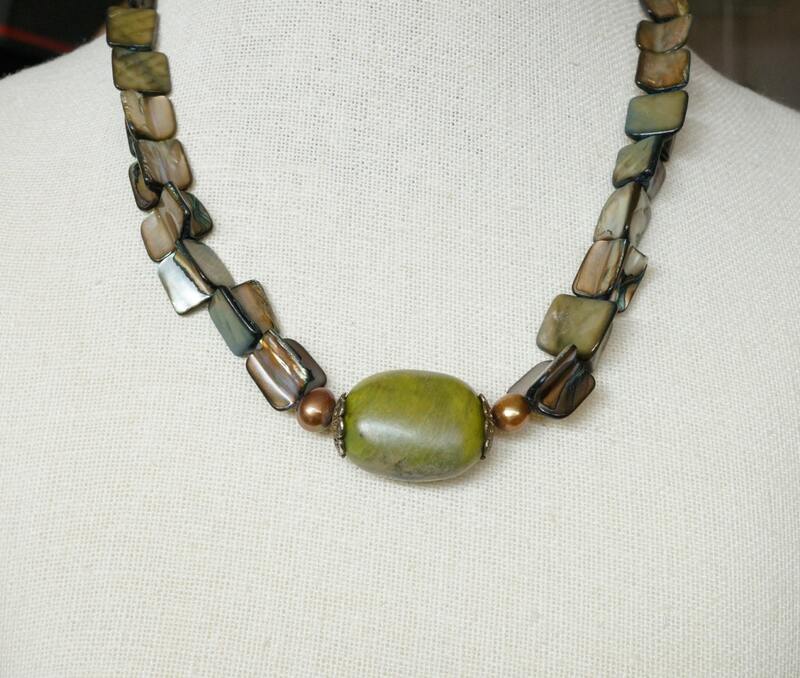 Here you have a green tone necklace with a green turquoise pendant bead. It measures 1 inch wide, and 0.75 inches tall. 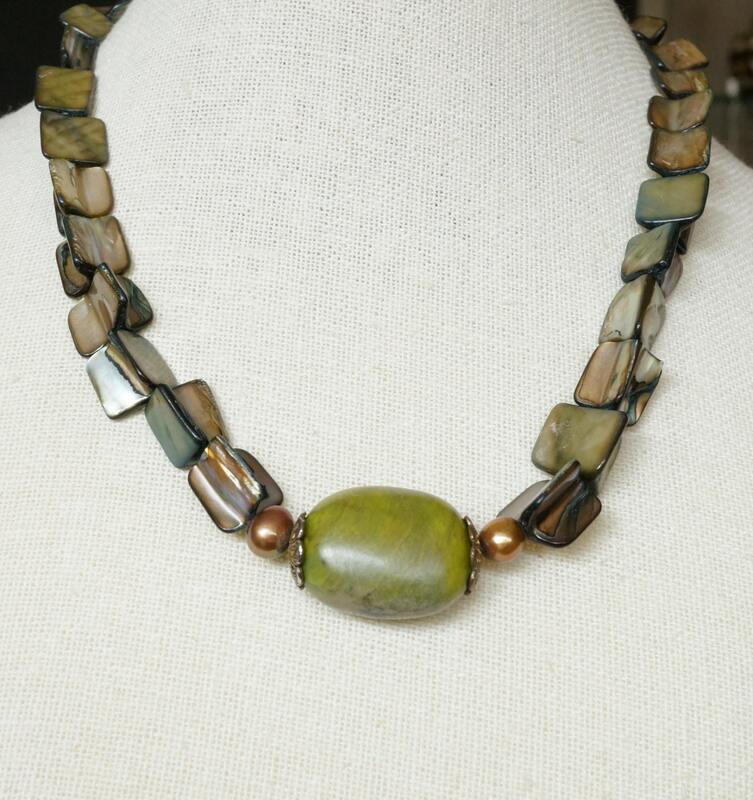 The rest of the necklace is designed with green tone shell beads in a very unique shape. 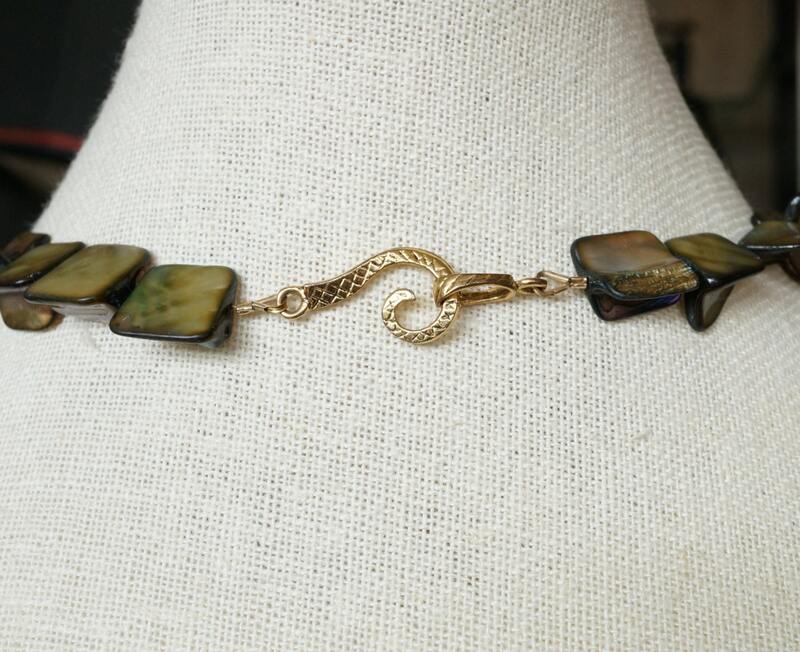 It all comes together with a gold plated hook clasp. 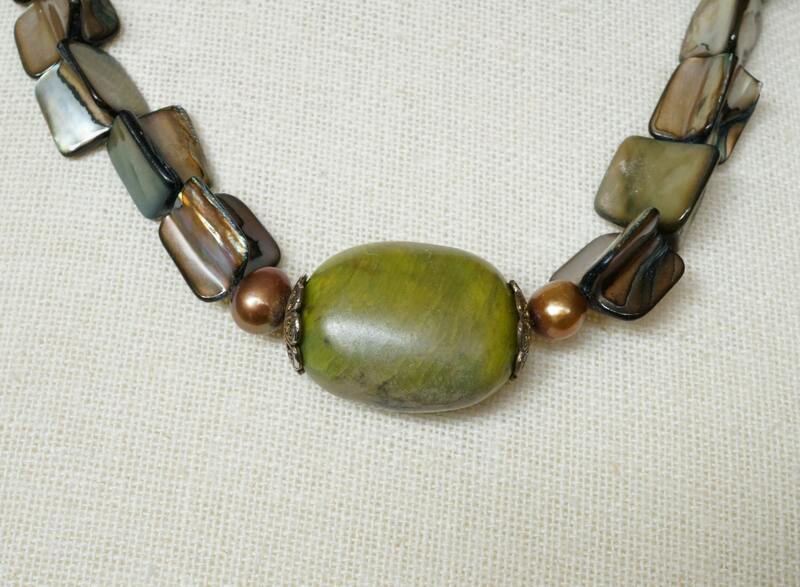 The necklace measures 18.75 inches. It can be shortened, for an extra $10. It cannot be lengthened.